We may be only 10 games into the Penguins' 2014-15 season, but the team is already in striking distance of a modern-day record. How? Just take a gander at how ridiculously the Pens' power play is LAPPING the rest of the NHL through the first month of the season. I didn't do any fancy finagling to make it look like the Pens' PP unit (hehe still makes me laugh) is so much better than the rest -- it just is. The graph's scale is set to zero. Further off the graph, you would have the 10th-best PP in the NHL: the New York Islanders at 20.4% success rate. And the Penguins have been TWICE as potent as the Islanders with the man-advantage. 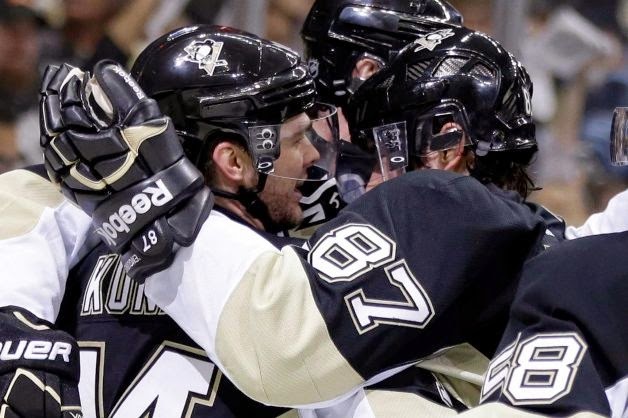 But I am not writing this post just to gush about the Pens' power play so far (it's been awesome, though!). I come to answer a question: what has a super-elite power play (24% scoring rate or better) looked like over the past decade, and can the Penguins top all of them? You should not underestimate the impact made by Plekanec and Higgins, but HOLY GUACAMOLE what a season on the man-advantage from Kovalev. Kovalev's 47 power play points led the NHL that season (one more than Sergei Gonchar, by the by), and he is the last player to post that many PP points in one campaign. I'm going to reiterate that in this paragraph: No player has since matched Kovalev's power play production since the 2007-08 season. His abilities to both distribute and score were the key to the Canadiens' super elite power play. Side props to Mark Streit, whose 27 PP assists were good for 8th in the NHL that season. Nice point man to have. ers and set-up men. Even the sixth main dude Christian Ehrhoff added 20 assists from the point. I suppose the lesson here is that, unlike with the Montreal Canadiens, you don't necessarily need a criminally insane scoring threat like 07-08 Kovalev to have a dynamite power play. ... On the other hand, it does super-duper help to have crazy-good scoring threats. 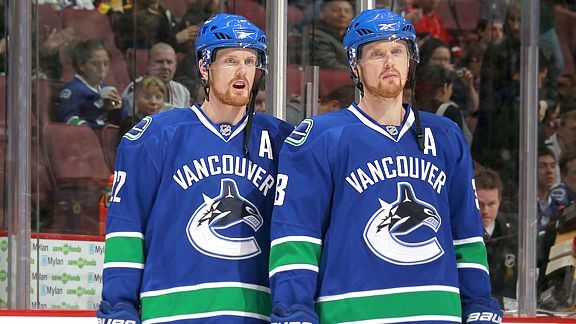 Having the Sedin Twins and Ryan Kesler gives you one of the best PP foundations you could possibly want. Daniel Sedin's 18 PP goals led the league, though Kesler was no slouch at 4th in the league. Then that is a different kind of balance that the Canucks brought. Both Sedins could serve it up and score, as could Ryan Kesler, able to roll out goals faster than any combination in hockey that season. And look, Christian Ehrhoff again! Hey buddy! 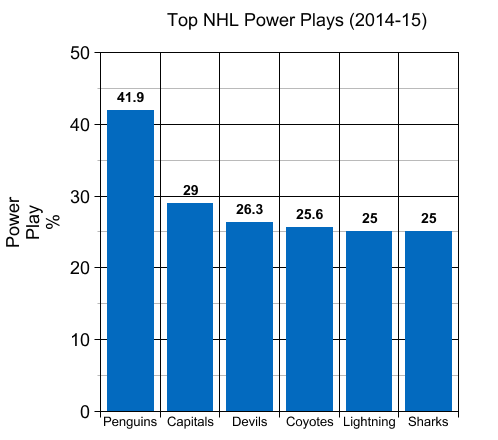 What an extended run of power-play dominance. In the 2008-09 season, the Washington Capitals scored on just over one of every four power-play opportunities and had 3 of the league's top 7 PP point totalers in Backstrom, Ovechkin and Green. Then they went out in the 2009-10 season and did the exact same thing. Same 25.2% scoring rate. Same 3 of the top 7 PP totals. Same dominance. Ridiculous. And it wasn't just an Ovechkin-powered advantage -- far from it as you can see. Backstrom and Green were nearly as prestigious in distributing and scoring, with Semin and Laich no slouches themselves. Yet it still was not enough to lead either Capitals team past the conference semifinal. SAAAAD TROMBOOOOOONE. Finally, the Wings. The best full-season power play in our modern game. 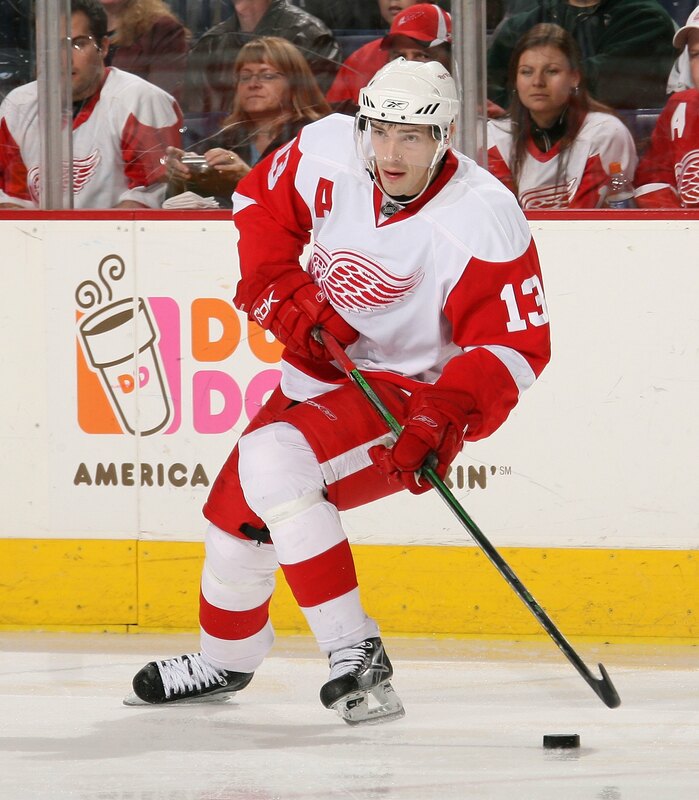 Any hockey fan can look at that list of player names and know that the 08-09 Red Wings created one spectacular power play, and I didn't even make room for a productive Marian Hossa and Niklas Kronwall. So that is what this year's Pens are chasing. 25.5% is the record. If last year's rates are an indicator, the Penguins need a 22.6% success rate over the season's remaining games to overtake the Wings as the new millennium's best power play. Can they do it? Only about two teams per season can maintain that rate. 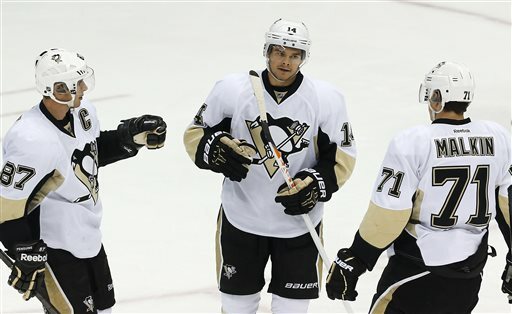 But the Penguins' group of five main dudes matches up well eye-test-wise to the other teams'. I would give the Pens a very good chance to break the record. Soak it in, Pens fans. 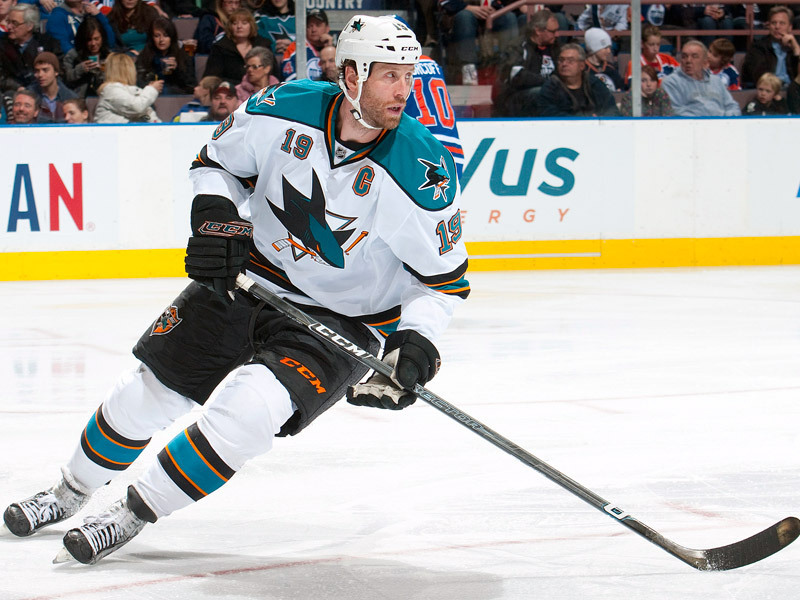 You could be watching the best power play our generation has ever seen hit the ice.